Woven Wood Shades create beautiful windows. They filter light delicately and naturally. Made of organic materials such as bamboo, jute, and grasses, the outdoors come to life indoors. A wide selection of colors, weaves, textures, and styles make the possibilities endless. 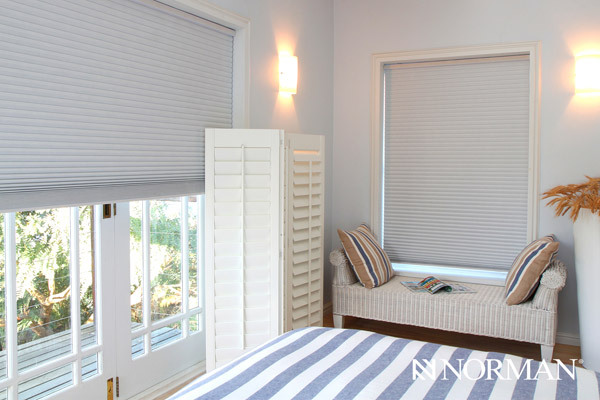 Woven Shades are offered in Roman Shades, Drapes, and Sliding Panels providing you the opportunity to decorate with continuity. 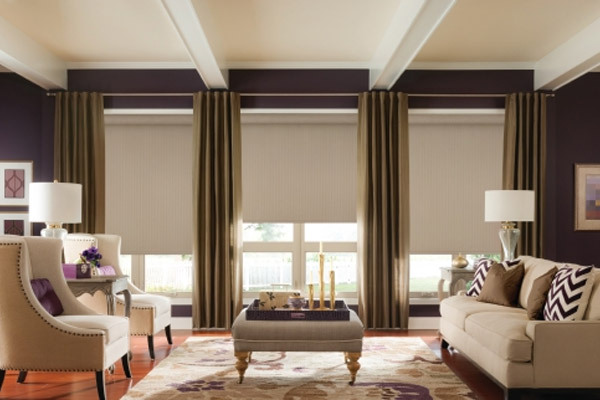 Customize your shades with valances and edge banding, to match the style of your rooms. Add a liner to control lighting and insulation. 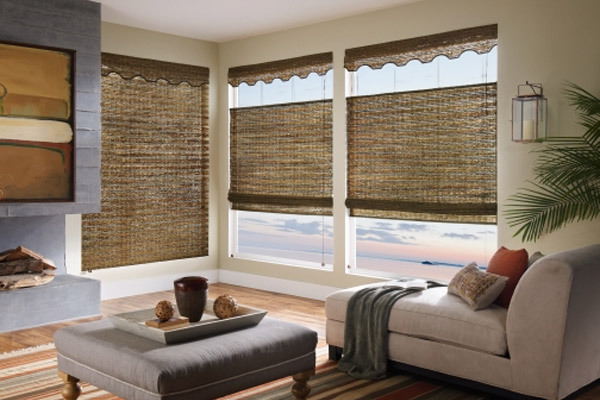 Bring warmth to your living space with the natural look of Woven Shades. Sliding Panels allow you to cover expansive windows without having to sacrifice style or function. 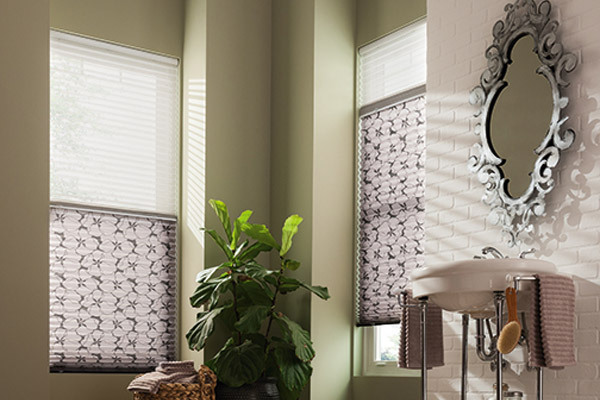 Combine them with matching Roller Shades for a refined finish. They can be used over sliding doors, as room dividers, and even as closet doors. Maintenance free panels can provide years of protection from UV rays and sun glare. Multiple opacity levels allow you to cover your windows with the right amount of sun protection. With many existing options, textures, colors and patterns Sliding Panels can bring the right design element to any room. 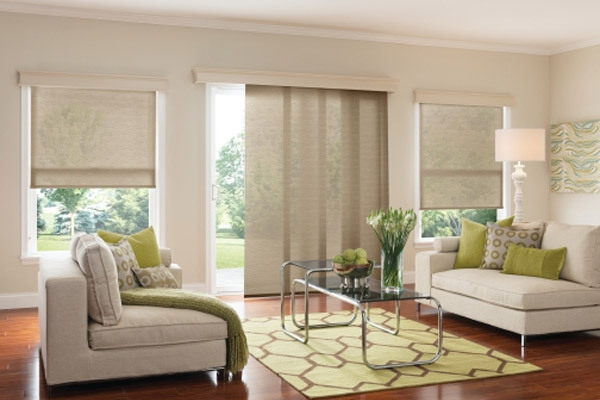 Sheer Shades create high fashion in any room. For gorgeous shades look no further. Beautiful fabrics will create spaces that will compliment your home. All shading hardware is color coordinated to your fabric choice. 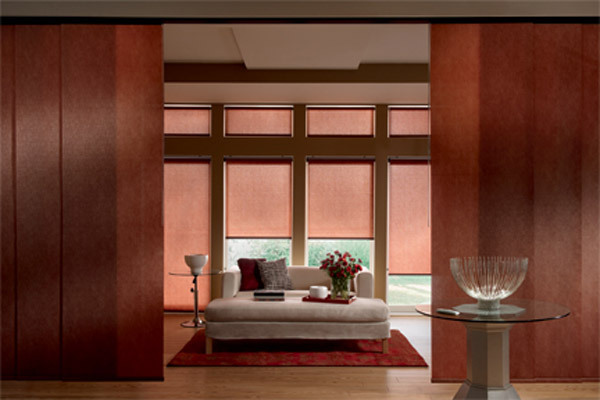 Sheer Shades are perfectly designed, to create an unobstructed view. They filter harmful UV rays and sun glare by diffusing light throughout the room. Layer them with Drapery Panels for added depth. 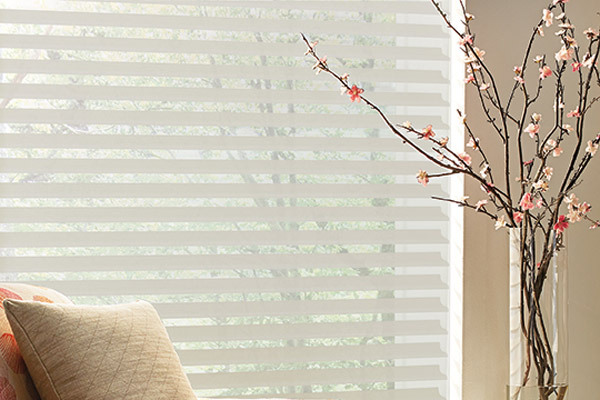 Maintain privacy and an enhanced view with Sheer Shades.